Considering how truly insane real estate prices have become in popular cities across the country, wrapping your head around the kind of money it would take to own a place feels out of reach for a plenty of young people. Sure, there are legitimately cool locales where home prices are relatively reasonable right now, but that doesn't change the fact that you'd still have to fork over a hefty five- or six-digit down payment to seal the deal. There's little use in harping on the overused "start saving early" mantra when you didn't and you're itching to own, but if you have a ballpark idea of how much you need to be putting away each month to make it happen, it somehow seems more attainable. 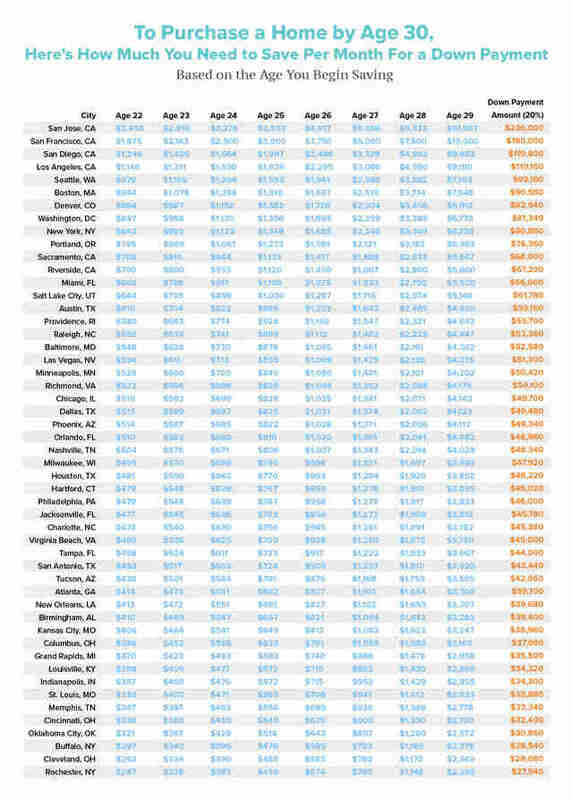 And that's all a bit clearer now thanks to this new chart that breaks down what you should save every month during your twenties if you want to be able to afford to buy a place in one of 51 different cities by the time you're 30. This helpful guide comes from the data whizzes at flooring company Empire Today, who culled intel from several sources to determine how much you should put away on a monthly basis to make a down payment by age 30. 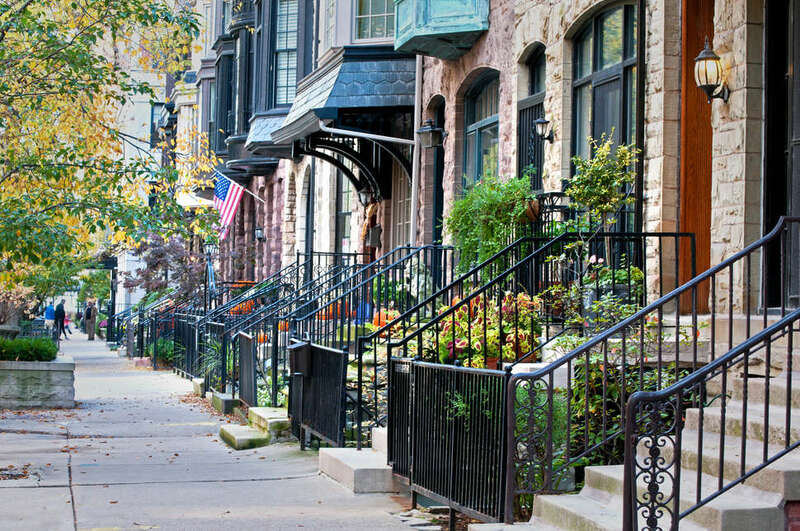 Specifically, they looked at median home prices in 51 popular areas (cities with a population of at least one million), presumed a standard down payment of 20%, and crunched the numbers assuming you begin saving at various ages between 22 and 29. Starting to save for real by age 22 is clearly the best course of action, since you'll only need to stash away $287 a month to have $27,540 by your 30th birthday, which is enough for a down payment on an average priced place in Rochester, New York, the most affordable market on the list. Wait until you're 29 and you're looking at having to save a cool $2,295 every four to five weeks to afford the same thing. If you're hoping to put down money on a place in the priciest market -- San Jose, California -- you'll need to put away $2,458 every month starting when you're 22 (or a whopping $19,667 every month for a year starting at 29). Of course, having a $300 to spare when you're a fledgling 22-year-old with a (likely) low-paying, entry-level job and student loans to pay off isn't realistic for most. But putting away what you can starting as early as possible is clearly a wise move if you don't want to be a slave to monthly rents forever. Perhaps it's time to consider a career pivot into one of the more lucrative industries. Or, hey, there's always Mega Millions!